Fabrics Glass tissue Used on top of CSM to provide a smooth surface and cover the coarse CSM pattern. The smooth surface makes it easier when final coating with gelcoat. Chopped Strand Mat (PB) 300g/sq.m Powder bound CSM. Used for general repairs and construction work. For use with Blue Gee resin. 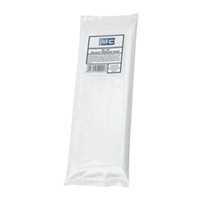 Chopped Strand Mat (EB) 450g/sq.mEmulsion bound CSM. Used for all general repairs and construction work. For use with Blue Gee epoxy. Glass fabric 78g/sq.m Woven Fabric provides a lightweight yet strong laminate. Woven fabric also allows for more flex and has higher impact resistance when compared to CSM. For use with either Blue Gee fiberglass or epoxy resins. Glass fabric 200g/sq.m Woven Fabric provides a lightweight yet strong laminate. Woven fabric also allows for more flex and has higher impact resistance when compared to CSM. For use with either Blue Gee fiberglass or epoxy resins. Glass fabric 300g/sq.m Woven Fabric provides a lightweight yet strong laminate. Woven fabric also allows for more flex and has higher impact resistance when compared to CSM. For use with either Blue Gee fiberglass or epoxy resins. Glass Woven Rovings Woven fabric with a wide range of uses in construction and repair work where increased strength and stiffness is required. Normally used between layers of other fibreglass matting and not normally used as a finished surface. Glass Fibre Tape Easy to handle. Used to reinforce seams, joints and corners or for small repairs. For use with either Blue Gee fiberglass resins or epoxy resins. Carbon Fibre Tape Plain weave carbon fabric is used where a high strength to weight ratio is required. Normally used with Blue Gee epoxy resins. Carbon Fibre Fabric Plain weave carbon fabric is used where a high strength to weight ratio is required. Normally used with Blue Gee epoxy resins. Kevlar Tape Used where a high impact/ or abrasion resistance is required. Commonly used for keel bands on dinghies and canoes. Normally used with Blue Gee epoxy resins. Nylon Peel Ply For use to protect surfaces between epoxy work sessions. Once the epoxy has cured the peel ply can be removed. Leaving a surface which can be worked straight on to avoiding the need for keying the surface or that is smooth enough for a final surface after a quick sand.